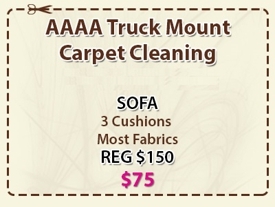 AAAA Truck Mount Carpet Cleaning has serviced the Redding, CA area for 35 years with high quality carpet and upholstery cleaning. Our carpet cleaning technicians will remove tough stains, marks, dirt and odors from all your carpets. Also, our services are environmentally friendly, as we use safe biodegradable chemicals. Experience the benefits of our RX-20 steam extractor which leaves NO RESIDUE after cleaning. 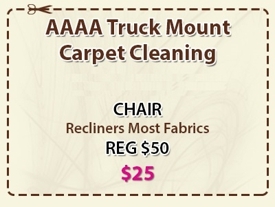 Not only will this provide you with a longer clean look, our process is also pet and child safe. 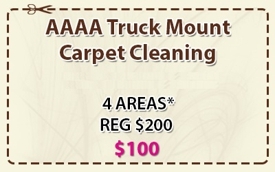 Call (530) 338-1589 today. 24 hour emergency service is available for those unexpected accidents.